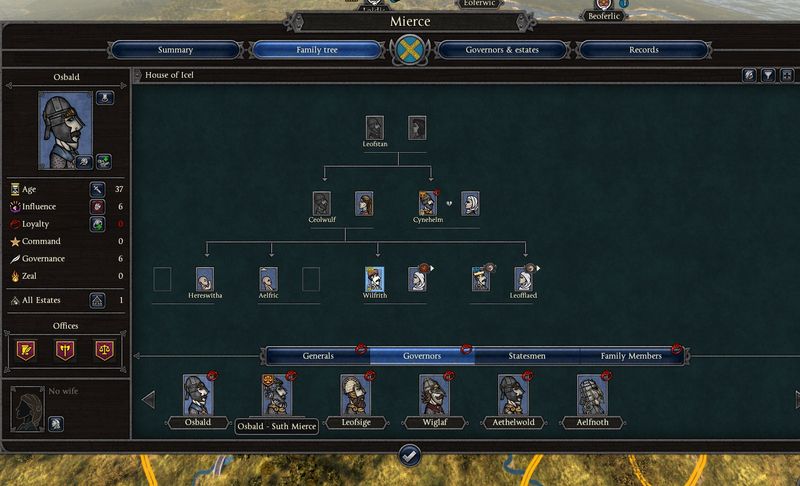 [SPC] [Campaign] Mierce King death, 3 Gens, 5 governors &amp; 1 family member with "ZERO" Loyalty! King dies on the turn. Son and heir takes over. Two Generals, Five Governors, and One family member with "ZERO" loyalty. Following turn everyone revolts. 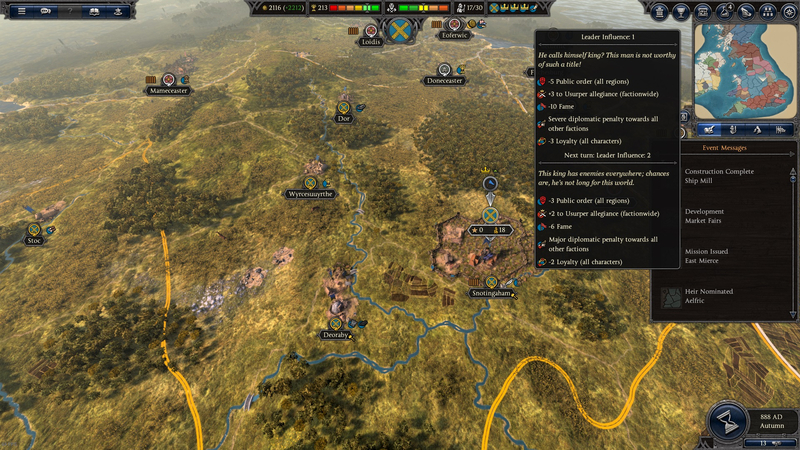 Screen shots and the turn autosave. I think that this may be explained by the low influence of the heir. He's got only 2 influence, and if your generals and governors were active for a while, they'd easily have more influence than him. 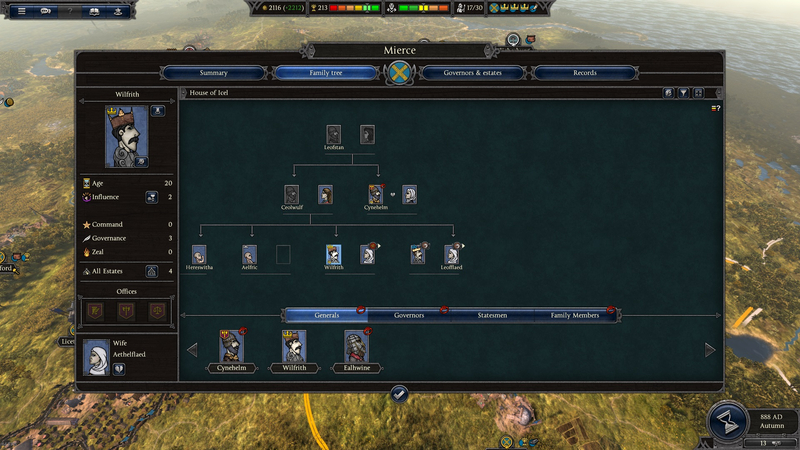 You can use a decree as a stop gap measure while you grab enough estates to give the heir enough influence. 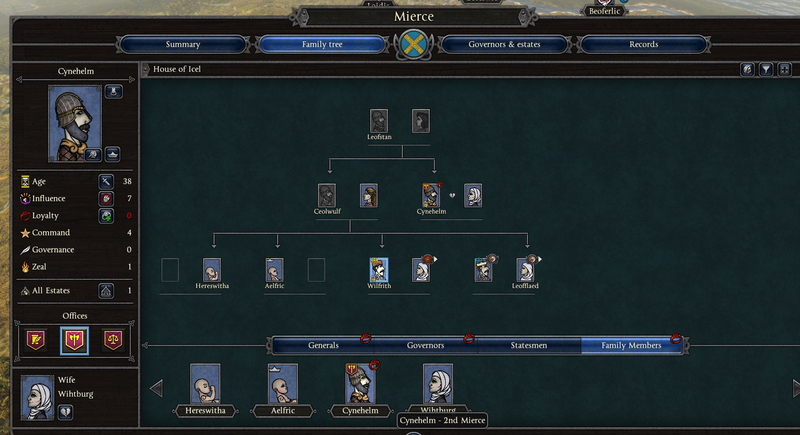 Mierce has some...interesting politics in the early-mid game.